It goes without saying that the Larry Hama A Real American Creator Kickstarter Campaign from Fresh Monkey Fiction and Remco has become an instant hit with fans, as the campaign funded in mere hours. The campaign is now at $19,794, blowing it’s funding level out of $6,000 right out of the water 3 times over. Because of the overwhelming show of support, Fresh Monkey has decided to add a Stretch Goal to the campaign! 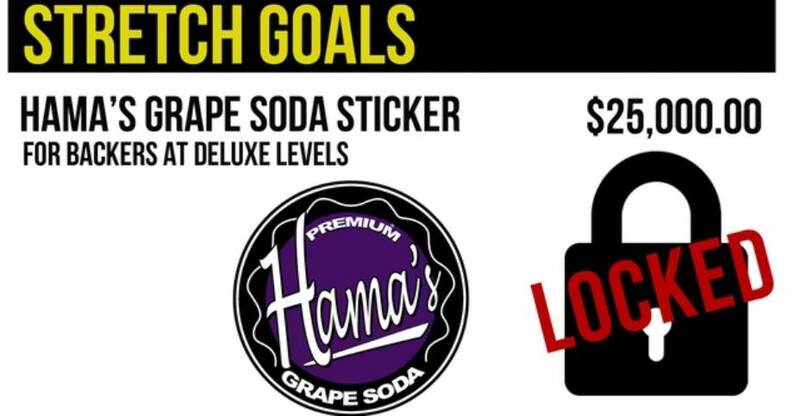 Once it hits $25,000.00, contributors at the deluxe level or higher will receive this awesome “Hama’s Grape Soda” brand sticker! What a fitting add on to this campaign. I’m sure we’ll be hitting this goal soon! What are your thoughts on this stretch goal? Sound off after the break!